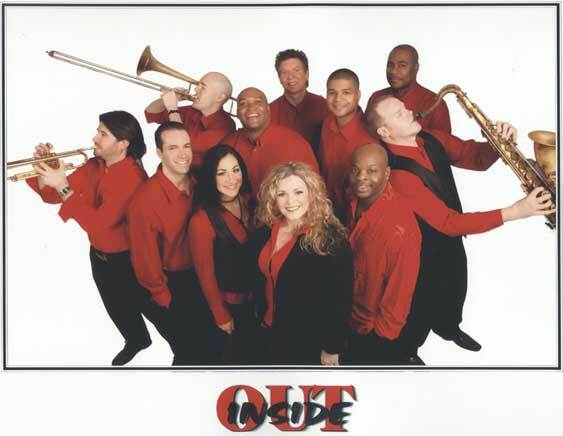 InsideOut is a nine-piece party dance band that has taken Dallas by storm. Fronted by two incredible female singers, a super dynamic lead male vocalist, and backed by a kickin' horn section, InsideOut is in constant demand. Their repetoire is filled with classic dance hits that keep the energy level high and the party hoppin'! Just be careful what you have planned the day after, you may want to sleep in! "Inside Out was spectacular. They handled all wedding related events (first Dance, cake cutting, etc.) smoothly. The dance floor was packed until they finished. The bride and groom were thrilled with their performance and so were we. Absolutely wonderful!"